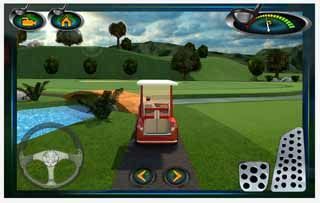 Free download Golf Cart Simulator 3D for Android with APK file. 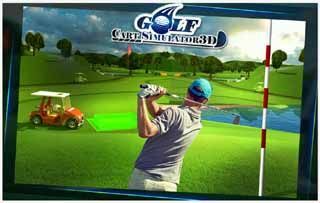 Download Golf Cart Simulator 3D new version from the direct link. Let’s drive the golfer to the right spot where the game is about to start. The golfer needs a caddie and you have to drive golfer off so that he can get to the next hole. With this fun and easy game, Golf Cart Simulator 3D brings you hands on experience of driving golf carts around the course. Drive as fast as you can, look out for the obstacles on the way and don’t crash into them or you’ll fail the level. With Golf Cart Simulator 3D, driving is fun because you will get to drive and park the carts at the in this golf course simulation. Be the best golf cart driver and put your driving and parking skills to test. So let’s get on a golf cart for a change and enjoy a comfy ride. 3 different Golf Carts that you can drive and enjoy. 20+ fun and easy golf cart driving and parking levels. Amazing and elegant 3D graphics of a golf course.